The following antique vintage photographs were all acquired during a house clearance in Newcastle & unwanted by the families or owners of the properties cleared. Our company provides house clearance services in all areas of Newcastle, Including Hazlerigg Heaton Hebburn High Felling Hebburn Hexham Howdon Jarrow Jesmond Kenton Kibblesworth Killingworth Lamesley Leam Lane Lemington Lobley Hill Low Eighton Low Fell. 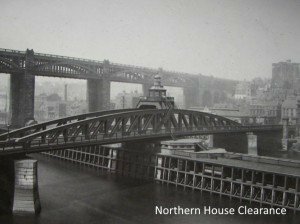 The Swing Bridge is a swing bridge over the River Tyne, England, connecting Newcastle upon Tyne and Gateshead, and lies between the Tyne Bridge and the High Level Bridge. 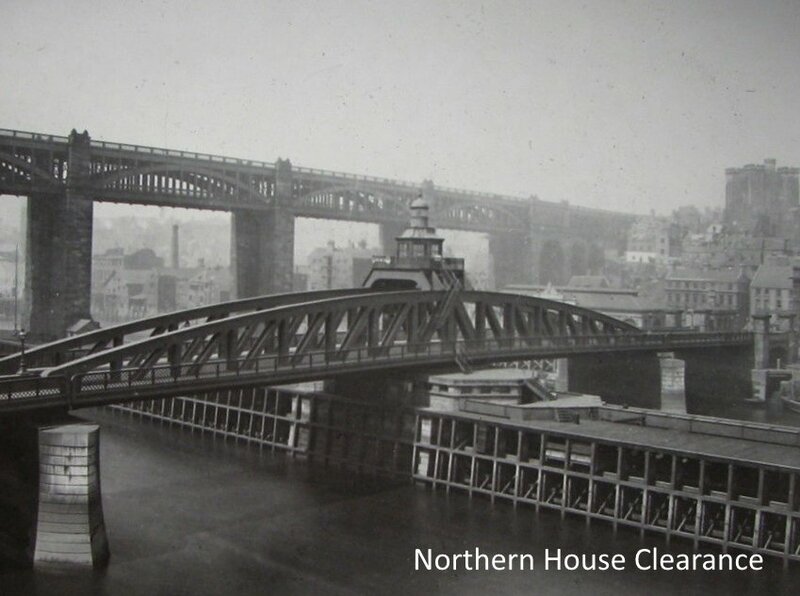 The Swing Bridge was built by the River Tyne Commission. Work on the bridge began in 1873 and it was designed and constructed by Sir W.G. Armstrong and Company Limited of Elswick. In 1972 the bridge was operated using a three shift system by a team of 15 men under the control of the Master of the Bridge. It could swing 12 times in one day at that time, each swing taking 6 minutes.